First, you must Create a Yahoo Account. Now Login into your yahoo account. There you will see Facebook Icon Just Click There. Now Download CSV file with your email addresses of all your Facebook contacts on your PC. Now Just Import CSV file in your Hotmail. Now its Done. If you wanna exports your Facebook friends contact to your Gmail account, You can do this like same method as Hotmail. Both are same method, If you understand first you can do this easily, If you don't know fully about Hotmail than no tension just follow us. Using this you can do its very simple. First, you must Create a Yahoo mail Account. No sign in into yahoo account. Now you will find Facebook Icon and click on it. Now Download CSV file with your email address of all your Facebook contacts on your PC. Now Just Import CSV file in your Gmail Account. 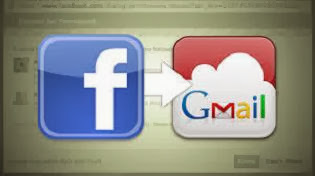 If you wanna exports your Facebook account to link din you can do it very easily just follow our upper any of one method gmail or Hotmail, After Download csv file on your computer, Just import this on LinkdIn, Means using csv file we can import and export or any type contact too many social media, it's very simple.